Nowadays, studying abroad has become an integral part of the university experience. With vast possibilities and what seems to be unlimited options, the daunting component that every exchange student must face is the planning. 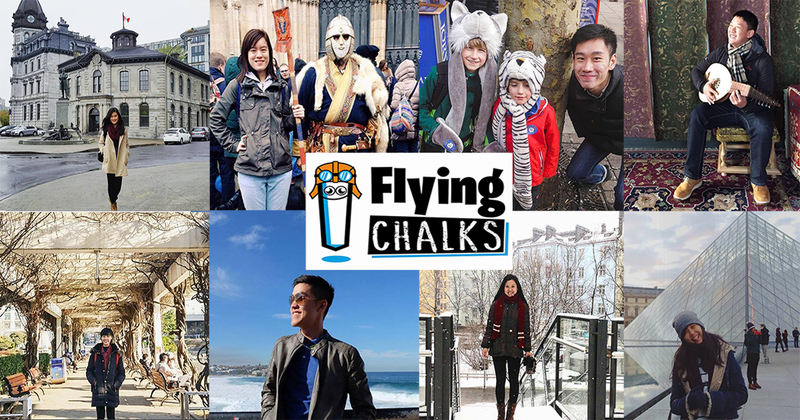 Flying Chalks is a Singapore-based site that was created to help international students enhance their exchange experience by making the planning experience easier through their interactive platform. Through interacting with seniors and students who have gone through the study exchange process, it’s an active platform that easily allows students to communicate with those who have travelled before, or find students who are studying in your country and heading to the same destination. 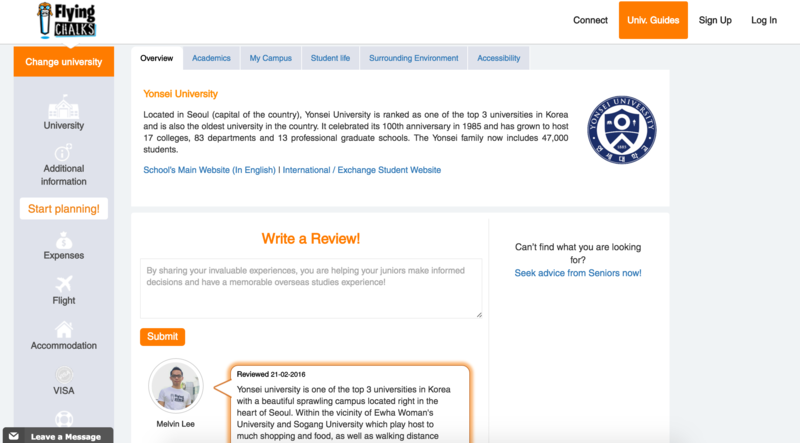 The site was created by Melvin Lee, who, from his own personal experience of pursuing an exchange program to Korea, went through the predicaments that millions of international students face when embarking on an exchange program. “I needed advice from seniors who had gone to the same university but knew none in my personal network. And I also could not find out who are the other Singaporean students going on the same exchange program as me so as to connect with them,” Melvin states. Visa application processes, searching for accommodation, as well as the other unfamiliarities and concerns that students might face can all be addressed on Flying Chalk’s platform, through the form of guidance, advice and companionship. Currently, the platform allows students to browse university guides about the particular country and university campus written by seniors and the Flying Chalks team, read reviews by other exchange students and connect with peers, seniors and local students to network with before their overseas trip. After receiving positive feedback from its initial 200 users, the platform began forging partnerships with several local universities and their respective student clubs to extend their reach to a wider student community, which include Singapore Management University (SMU), Nanyang Technological University (NTU), National University of Singapore (NUS) and Singapore University of Technology and Design (SUTD). 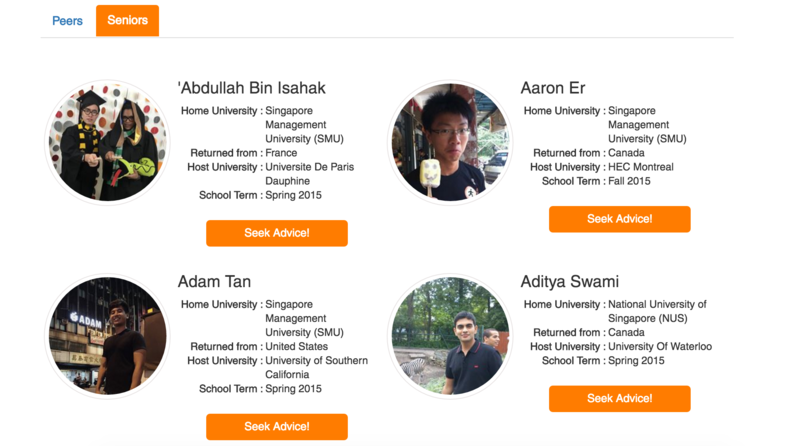 Currently, the site features a Connect section at which students can communicate with Seniors (those who have gone through a round of exchange) and Peers (those bound for exchange). This gives the process an extremely personalised touch, and is definitely helpful for those with pre-exchange jitters. A large majority of Peers and Seniors are from our local universities, but I think it’s only time that more from overseas universities hop onto the platform. Flying Chalks’ Facebook feed is also filled with photos of smiling students who have used their platform. In the very popular “Humans Of New York” (HONY) style, going through the refreshingly honest stories by contributors definitely put a smile on my face and made me realise that university exchanges are once in a lifetime opportunities that should be taken up by anyone who gets the chance to. If that doesn’t make you realise that exchanges are actually great ways to integrate and interact with locals (and thus expand your worldviews), I don’t know what is. What’s Next For Flying Chalks? Since its launch in early January this year, it attracted over 1,500 students from more than 20 universities worldwide to join the community within the first three months. “We intend to start expanding overseas by reaching out to foreign student communities in the months to come. In addition, we will also be rolling out more features on our platform to continuously improve the overseas studies experience for our users,” Melvin said. Building on this initial traction, Melvin plans to launch the Flying Chalks Ambassador Program. The motive of “learning beyond international boarders” is what encompasses Flying Chalks and is only the beginning, for Melvin hopes for an even bigger expansion for the platform to ensure a more hassle-free experience in one of the most exciting times of a students life.